5 Springs Ranch is now offering FULLY GUIDED hunts on private property. Our hunts do not include food or lodging. You provide your lodging, we can assist you in attaining reasonably priced housing, or you are welcome to bring your camper. Cost is $3000 per hunter, per season. 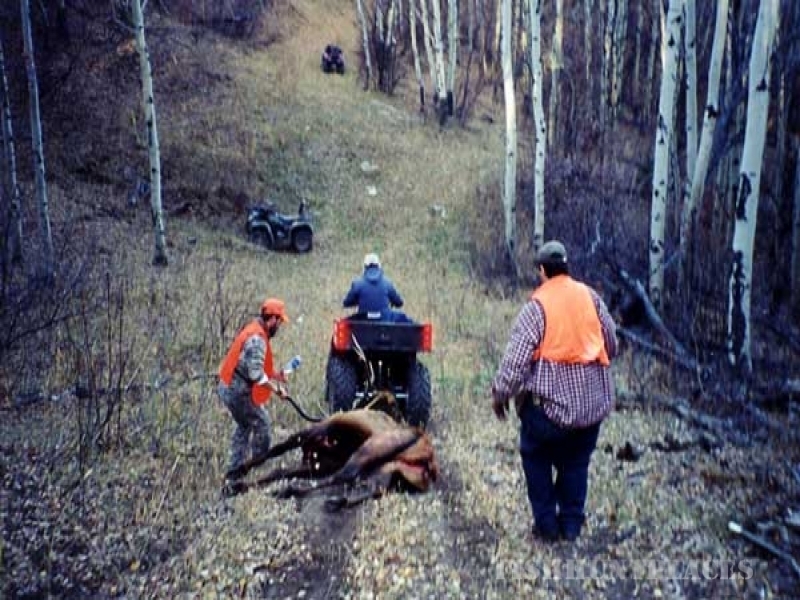 We maintain a complete on-site butcher shop for the use of our hunters. Or, we can process, wrap and freeze your meat for you. Call 970-879-0868 for more information. 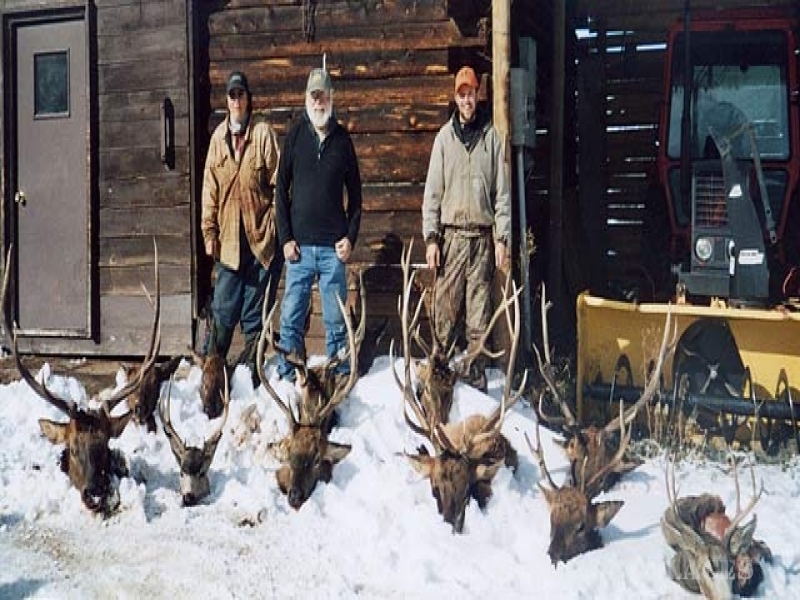 All elk and mule deer hunts are on private lands and we pride ourselves on leasing the very best ranch lands for hunting available, for exclusive use of our hunters only. We use 4-wheel drive vehicles and ATVs and enjoy a very high rate of success. References are available upon request. We welcome physically challenged hunters as we have excellent established stands, which can be reached by 4-wheel drive and ATVs. We welcome and pay special attention to older and younger hunters.